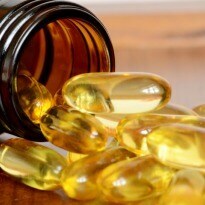 You are at:Home»Food»Should You Pop Vitamin D Pills Regularly? Vitamin D supplements have no significant effect on preventing heart attack, stroke, cancer or bone fractures, according to a review of scientific evidence published Friday. Researchers led by Mark Bolland of the University of Auckland in New Zealand looked at 40 high-quality trials to see if supplements met a benchmark of reducing risk of these problems by 15 percent or more. Previous research had seen a strong link between vitamin D deficiency and poor health in these areas. But the new study, published in The Lancet Diabetes & Endocrinology, strengthens arguments that vitamin D deficiency is usually the result of ill health — not the cause of it. Its authors say there is “little justification” for doctors to prescribe vitamin D supplements as a preventive measure for these disorders. “Available evidence does not lend support to vitamin D supplementation and it is very unlikely that the results of a future single randomised clinical trial will materially alter the results from current meta-analyses,” they write. Vitamin D is a key component for healthy bones, teeth and muscles. It is produced naturally when the skin is exposed to sunlight or derived from foods such as oily fish, egg yolks and cheese. In March last year, British scientists, in a comparison of 4,000 women, found that vitamin D supplements taken in pregnancy made no difference to the child’s bone health. And in September 2012, researchers at New York’s Rockefeller University saw no evidence that vitamin D supplements lowered cholesterol, a factor in heart disease, at least over the short term. In contrast, a November 2012 investigation into pregnant women who lived in high-latitude, northern hemisphere countries with long, dark winters found a link between low levels of natural vitamin D and an increased risk of multiple sclerosis (MS) in their offspring. For these women, taking vitamin D supplements to offset the effects of long periods without sunlight could be advisable, according to that research.